I’m intrigued by the wellness work we do here at PRA. Intrigued may be an odd word to use but let me explain. I think the work is incredibly important, and I feel strongly in the concept of whole health and seeing the full picture of wellness. The intriguing part for me is how I can incorporate this into my life. Understanding and believing is one thing, but acting and progressing positively can be another. 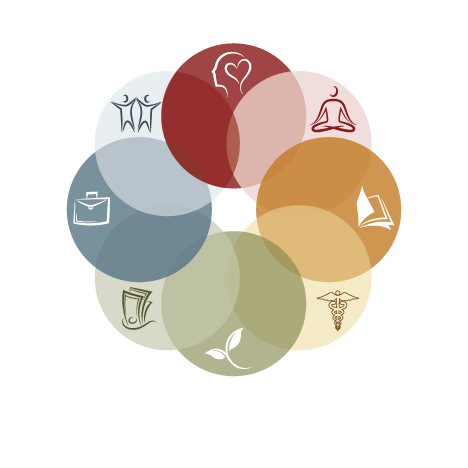 When we as an organization encouraged staff to take the survey of the eight dimensions of wellness, I found my answers reinforced what I believed to be my strengths and weakness. My weaknesses were spiritual and physical. Everything else was remarkably good. And by that, I mean I scored high so according to the survey, I was “well” on those dimensions. Six out of eight is pretty good. But while I could explain (or excuse) away the spiritual score based on my feelings about the narrowness of the questions, the poor score on physical was bothersome and clearly something I could and should act on. I spent my day of reflection (another great PRA benefit) at the Kripalu Center at classes on meditation and mindful eating. And it started to sink in…the idea that I could focus on myself and improve my own wellness. And so my efforts on weight loss (the source of many of my physical issues) began. I started a high protein and low carb, sugar, alcohol, everything I love diet. My favorite part of the diet was that there was no exercise involved. The idea was that you burned fat cells and didn’t want to overexert and tap into muscle. Sounded good to me…and I stuck to it. Now 1 year later, I can say I lost weight—a substantial amount of weight. Everything feels better, including my knees. And I’ve changed the way I eat. But now it’s time to introduce exercise into my regime of physical wellness. So I did something last week that I haven’t done since my youth…I bought a bike. It’s not a hard-core bike and there won’t be any racing in my future, but it’s a bike I can use on the bike trail, which conveniently runs from just behind my house to very close to PRA. I can, and have once already, ride to work. What a nice time on the trail to get some exercise and have some mindful time to think. It’s a small step, or should I say pedal, but fits nicely with my personal wellness goals—and it is a sweet ride!